WHEN YOU'RE LOOKING FOR SOMETHING A LITTLE BIT DIFFERENT. 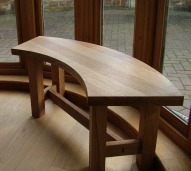 Our portfolio of commissions includes ecclesiastical work, projects with design studios, and bespoke furniture for domestic clients. 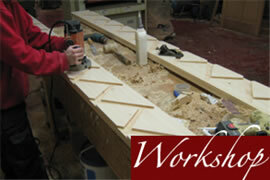 Merrin Joinery also makes a standard range of hardwood Notice Boards.